• Improve security of the Apostille to reduce misuse and abuse. To promote uniformity in the format, design and affixation of Apostilles. View a sample of Rhode Island's allonge, which complies with the NPA Resolution. Do I issue an Apostille or Authentication? The Apostille Section of the Hague Conference on Private International Law maintains the authoritative list of countries ("contracting states") that have joined the Hague Apostille Convention. • The ABCs of Apostilles - an informational brochure for users of Apostilles. 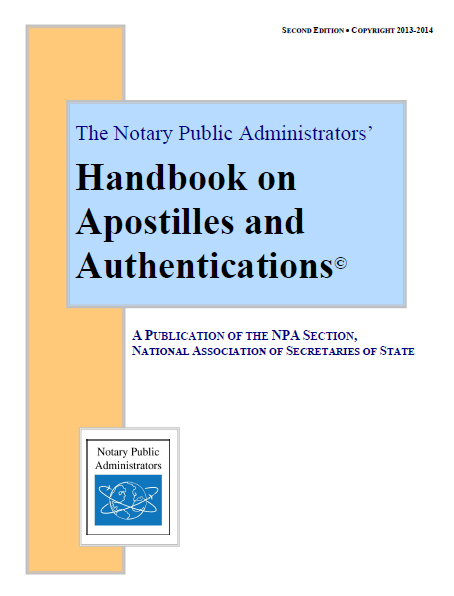 • Apostille Handbook - a comprehensive guide to assist competent authorities.